I would love there to be more practical philosophy in schools. At the moment, the teaching of ethics and philosophy in schools and universities is almost entirely theoretical. Students learn that philosophy is a matter of understanding and disputing concepts and theories, something that only involves the intellect, not your emotions, actions or life outside of the classroom. This is a consequence of the splitting off of psychology from philosophy at the beginning of the 20th century. Philosophy lost touch with the central and immensely practical question of how to live well, and that ethical vacuum was filled by psychology, and even more by pharmacology. Ironically, the most evidence-based talking therapy – Cognitive Behavioural Therapy – was directly inspired by ancient Greek philosophy, and uses many of its ideas and techniques. CBT picked up the baton which modern philosophy dropped, of trying to help ordinary people live happier lives. But it lacks the ethics, values and meaning dimension that ancient philosophy had. Philosophy and psychology need each other. Philosophy without psychology is a brain in a vat, artificially cut off from emotions and actions and the habits of life. Psychology without ethics is a chicken without a head, focused entirely on evidence without any clear sense of the goal. Practical philosophy is a bridge between the evidence-based techniques of psychology, and the Socratic questioning of philosophy. I wish that, when I was suffering from social anxiety and depression at school, someone had told me about Stoic philosophy, and explained their idea that my emotions are connected to my beliefs and attitudes, and we can transform our feelings by changing our beliefs. They might also have explained how CBT picked up the Stoics’ ideas and tested them out. Instead I had to find all this out for myself, and it took me several rather unhappy years. When I did finally come across ancient philosophy, it helped me enormously. And I’m not alone in this. John Lloyd, the creator of Blackadder and QI, was a very bright boy at school, but never learned to reflect on the good life or how his thoughts create his subjective reality. He had to learn that himself, coming to philosophy after a five-year breakdown in his thirties. He now says: ‘I think every child should learn Stoic philosophy.’ Making Stoicism part of the national curriculum is quite a big ask. But wouldn’t it be great if there was at least some practical philosophy, some indication that philosophy can practically improve students’ lives? Stoicism for Everyday Life is a project bringing together philosophers, psychotherapists and classicists, who are fascinated by the links between Stoic philosophy and Cognitive Behavioural Therapy, and committed to raising public awareness of Stoicism as a life-improving resource. We’re organising Live Like A Stoic Week (Nov 25 – Dec 1), and trying to get people involved in Stoic events all over the world. We’re preparing a handbook for Stoic Week, with a different Stoic idea and exercise for every day, and we’re inviting people to follow the Handbook for the week, then reporting back to us via a brief questionnaire. It will be released in November. 1) It’s not events that cause us suffering, but our opinion about events. People often think ‘Stoic’ means ‘suppressing your emotions behind a stiff upper lip’. This is not what ancient Stoicism meant. The Stoics thought we could transform emotions by understanding how they’re connected to our beliefs and attitudes. The quote above, from the philosopher Epictetus, is so powerful and useful – and it was the main inspiration for CBT. Often what causes us suffering is not a particular adverse event, but our opinion about it. We can make a difficult situation much worse by the attitude we bring to it. This doesn’t mean relentlessly ‘thinking positively’ – it simply means being more mindful of how our attitudes and beliefs create our emotional reality. We don’t realise that often we are the ones causing ourselves suffering through our thoughts. Have you noticed how people react very differently to exactly the same event, how some sink rapidly into despondency while others shrug it off? 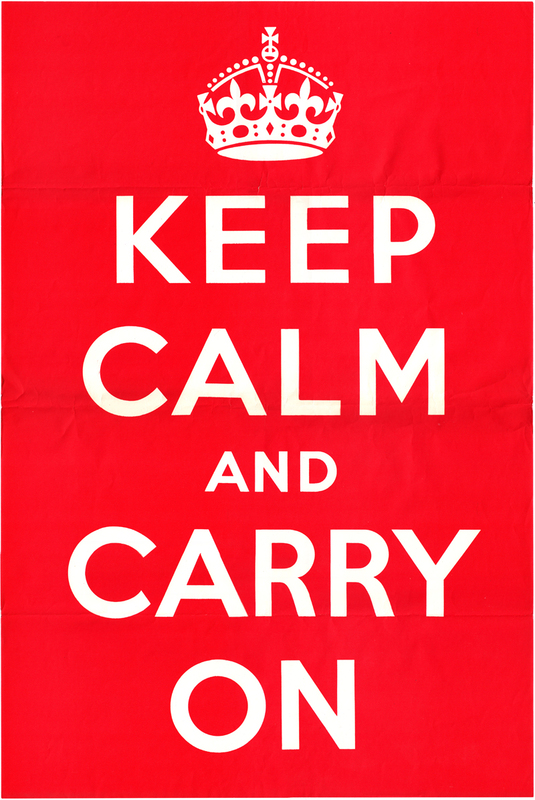 Perhaps we can learn to be more resilient and intelligent in how we react to events. Socrates said we sleepwalk through life, unaware of how we live and never asking ourselves if our opinions about life are correct or wise. CBT, likewise, suggests we have many cognitive biases – many of our deepest beliefs about ourselves and the world might be destructive and wrong. Yet we assume automatically they’re true. The way to bring unconscious beliefs into consciousness is simply to ask yourself questions. Why am I feeling this strong emotional reaction? What interpretation or belief is leading to it? Is that belief definitely true? Where is the evidence for it? We can get into the practice of asking ourselves questions and examining our automatic interpretations. The Stoics used journals to keep track of their automatic responses and to examine them. CBT uses a similar technique. Maybe your students could keep a Stoic journal for a week. This is another very simple and powerful idea from the Stoics, best presented by Epictetus, the slave-philosopher, who divided all human experience into two domains: things we control, things we don’t. We don’t control other people, the weather, the economy, our bodies and health, our reputation, or things in the past and future. We can influence these things, but not entirely control them. The only thing we have complete control over is our beliefs – if we choose to exercise this control. But we often try to exert complete control over something external, and then feel insecure and angry when we fail. Or we fail to take responsibility for our own thoughts and beliefs, and use the outside world as an alibi. Focusing on what you control is a powerful way to reduce anxiety and assert autonomy in chaotic situations – you could use the stories of Rhonda Cornum, Viktor Frankel, James Stockdale or Sam Sullivan to illustrate this idea – they all faced profound adversity but managed to find a sense of autonomy in their response to it. The Serenity Prayer is also a nice encapsulation of this idea. Every moment of the day, we can choose the perspective we take on life, like a film-director choosing the angle of a shot. What are you going to focus on? What’s your angle on life? What’s your angle on life? One thing the Stoics got, which a lot of modern philosophy (and Religious Studies) misses with its focus on theory, is the importance of practice, training, repetition and, in a word, habits. It doesn’t matter what theory you profess in the classroom if you don’t embody it in your habits of thinking and acting. Because we’re such forgetful creatures, we need to repeat ideas over and over until they become ingrained habits. It might be useful to talk about the Stoic technique of the maxim, how they’d encapsulate their ideas into brief memorisable phrases or proverbs (like ‘Everything in moderation’ or ‘The best revenge is not to be like that’), which they would repeat to themselves when needed. Stoics also carried around little handbooks with some of their favourite maxims in. What sayings do you find inspirational? Where could you put them up to remind yourself of them throughout the day? Another thing the Stoics got, which modern philosophy often misses, is the idea of fieldwork. 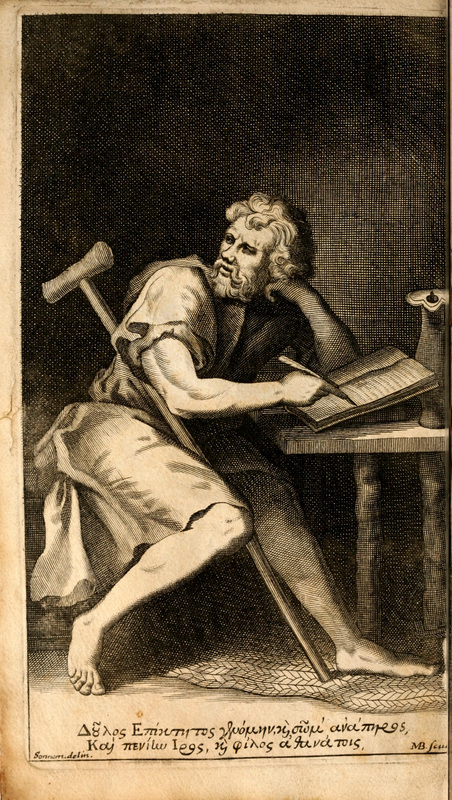 One of my favourite quotes from Epictetus is: ‘We might be fluent in the classroom but drag us out into practice and we’re miserably shipwrecked’. Philosophy can’t just be theory, it can’t just be talk, it also has to be askesis, or practice. If you’re trying to improve your temper, practice not losing it. If you’re trying to rely less on comfort eating, practice eating less junk food. Seneca said: ‘The Stoic sees all adversity as training’. I love the bit in Fight Club where students from Tyler Durden’s school get sent out to do homework in the streets (even if the homework is a little, er, inappropriate, like intentionally losing a fight). Imagine if philosophy also gave us street homework, tailor-made for the habits we’re trying to weaken or strengthen, like practicing asking a girl out, or practicing not gossiping about friends, or practicing being kind to someone every day. Imagine if people didn’t think philosophy was ‘just talking’. Diogenes the Cynic took askesis to the extreme of living in a barrel to prove how little we need to be happy – students tend to like stories about him. All the previous main points are quite instrumental and value-neutral – that’s why CBT has taken them up and turned them into a scientific therapy. But Stoicism wasn’t just a feel-good therapy, it was an ethics, with a specific definition of the good life: the aim of life for Stoics was living in accordance with virtue. They believed if you found the good life not in externals like wealth or power but in doing the right thing, then you’d always be happy, because doing the right thing is always in your power and never subject to the whims of fortune. A demanding philosophy, and yet also in some ways true – doing the right thing is always in our power. So what are we worried about? At this point your students might want to consider what they thing is good or bad about this particular definition of the good life. Is it too focused on the inner life? Are there external things we also think are necessary for the good life, such as friends or a free society? Can we live a good life even in those moments when we’re not free, or we don’t have many friends? What do your students think are the most important goods in life? The Stoics pioneered the theory of cosmopolitanism – the idea that we have ethical obligations not just to our friends and family, but to our wider community, and even to the community of humanity. Sometimes our obligations might clash – between our friends and our country, or between our government and our conscience (for example, would we resist the Nazis if we grew up in 1930s Germany?) Do we really have moral obligations to people on the other side of the world? What about other species, or future generations? A useful exercise here, as Martha Nussbaum has suggested, is the Stoic exercise of the ‘widening circles’, imagining all the different wider communities that we’re a part of. This article first appeared on Jules’ blog, Philosophy for Life, in October 2013 and is reproduced here with his kind permission. If you want to join the schools that are taking part in Stoic Week, please get in touch, and have a look at some of our resources for Stoicism in Schools. It sounds as if Jules is only advocating teaching about stoic philosophy in schools. There are so many others theories to be taught about. My experience with stoic week so faris making me see it as a cult or religion and I think it is more important to teach children to think for them selves and be rational. I would ask Jules if he would agree that teaching Thinking Skills through learning how to devise questions, examine evidence, and make judgements would bring up a group of young people able to withstand the pressures of modern life and the overly knowledge based curriculum. I think that learning to manage your emotions should be just one component of this. In the last decade there were primary schools teaching Thinking skills (Ian Gilbert) is just one proponent) I don’t know if the interest is still there. No, actually I advocate teaching a variety of ethical approaches and letting people make up their own minds what the meaning of life is. That’s why I don’t think students should just be taught Stoicism, but rather Stoicism as one bit of a broader course on practical philosophy. I’m working with a teacher to develop an RE course which would include some practical philosophy from West and East. My book Philosophy for Life is also a sort of dream curriculum for education – it presents about eight different Greek philosophies. However I think most of them would agree with the basic points I outlined above. Previous Previous post: Stoic Week Take One: What Happened Last Time?